It is cold outside and Cincinnati saw a nice taste of winter today when many folks woke up to a white, snowy dusting this morning. Getting ready for work here at HG Logistics, a third party freight broker in Cincinnati, Ohio had an extra task, as my car was covered in a dusting of frost and show. Yuck! As I ventured out wearing my pajama pants and flip flops in the frigid air to warm up my car, I realized that one of those remote starters would make a great gift for me! My mind continued to churn away, and I wondered what other useful winter gadgets might be out there, and what will be the best winter purchases for me this year? I have done a little research and put together some interesting and useful tools to help get through the upcoming frigid months. First, I thought about warming up my car. 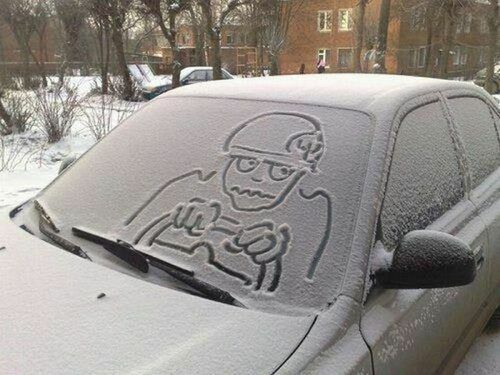 Next time, I might have to scrape off ice or snow. Which ice scraper will be the best? Priced at around $15 at Menard’s and other hardware stores, the top pick of many is the Hopkins 80037 Subzero 60″ Quick Lock Pivoting Snowbroom. 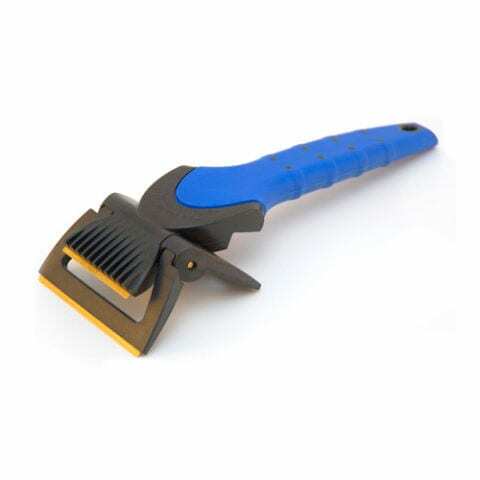 This long handled choice has a great reach and includes a broom for snow, scraper for ice and frost and even a squeegee. At just $10, the Ice Master Multi Blade Ice Scraper offers multiple blades that are made from brass, which is tougher than plastic but soft enough that it won’t scratch your windshield. If you hate scraping as much as I do, perhaps you should consider a windshield cover. I am much more likely to want to put one of these on in the evening rather than to want to go into the arctic air to scrape off my car. An added benefit is that many of these are dual use and can help keep your interior cool and protected from the sun in summer months. 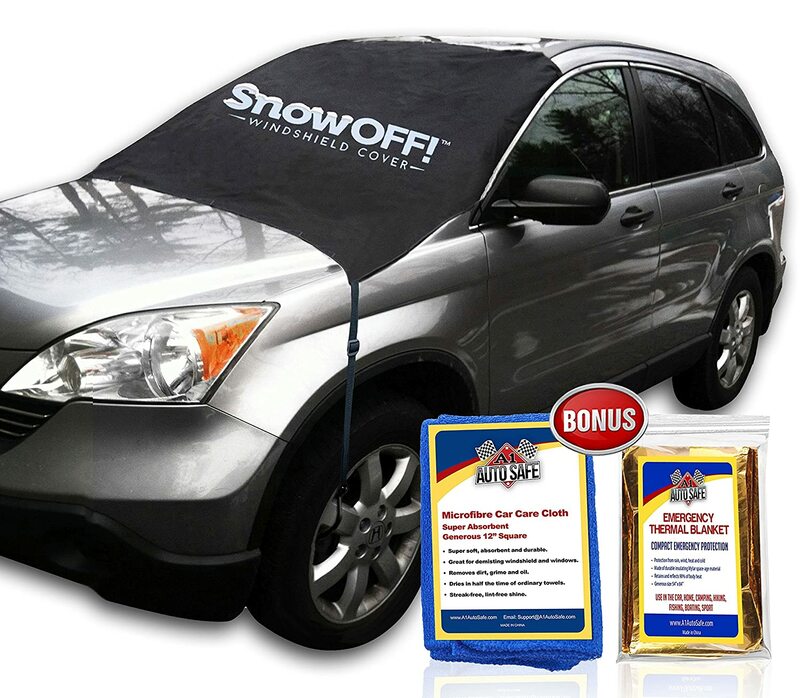 For just under $25, you can purchase the Snow-OFF Car Windshield Snow Cover and Sun Shade Protector. This windshield protector covers the entire windshield as well as wiper blades to keep frost and snow from slowing you down. Unlike many, it does not attach with magnets that can scratch your car, rather, it attaches to your wheels. Flaps also close into your doors, which keeps it from being stolen (your neighbors will want one, for sure!) and to help keep doors from freezing shut. Priced around $10-$15, a foldable snow shovel might be just what you need to get out of a drift. 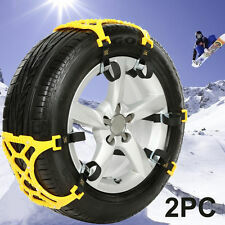 For around $20, you can grab yourself a pair of easy-install snow chains for those harder-to-get-out-of situations! This is a Shur Trax Auto Traction Grabber. For about $70, you fill it with water (12 gallons = 100lbs) for extra weight. 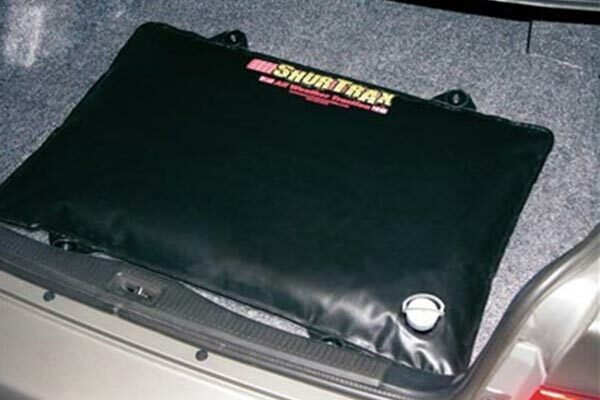 Stored in the trunk of your car, it adds weight to your rear axle for greater traction. You might be able to get around purchasing this item buy purchasing a large bag of softener salt or dog food for the same effect. Hopefully we can dodge any major snowfall this winter, but if not, maybe you’ll use one of these items to help you get through! If you like working with folks who can offer you a variety of solutions for whatever the seasons throw at you, give HG Logistics a call. We would love to hear from you. Talk to Doug, our General Manager, at 513-244-3026 or email us via the contact link on our page!